To say the U.S. tax system is confusing is an understatement, so it’s no wonder there are many misconceptions about the rules. The good news is that most people make less than $100,000 in a year and have no income other than their paychecks, so they can fill out the comparatively brief and very direct short form; almost everyone who uses the 1040EZ can fill it out themselves. For everybody else, though, the baffling mysteries of the tax code prevail, and can ultimately cost money. To help unravel some of the perplexities of the system, here are 12 common tax myths debunked. It might save money and sanity when the deadline rolls around. No, it isn’t. It’s mandatory, although compliance is voluntary — only because the Internal Revenue Service can’t follow everybody in the country around to make sure they file. There is, in fact, a law (Title 26 of the U.S. Code, ratified by the 16th Amendment to the Constitution) that requires every individual with taxable income to file. 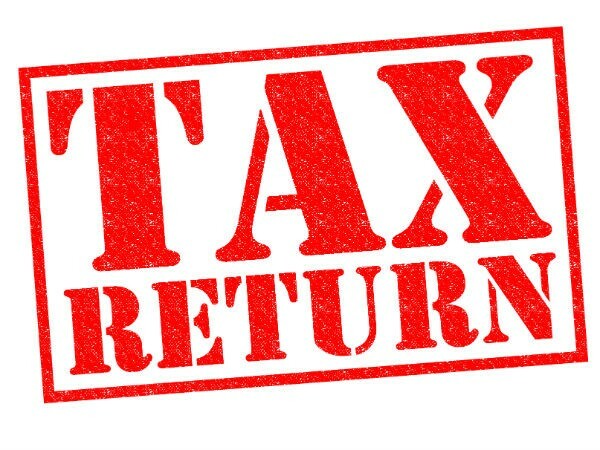 While some people make too little to file, in general everybody with an income is expected to send in a return. The IRS cares not about the educational status of citizens but about their income. If students have more than $10,350 in income or $400 in self-employment income, they need to file. Even if working students earn less than the filing minimum, it’s a good idea to file, because a refund may be due. People who work at home can claim the part of their home in which they work as a deduction, that’s true. But people who work in an office during the day and sometimes bring work home do not have a home office, according to the IRS, even if they have a dedicated place at home from which to work. The home office deduction applies only if the home is the principal place of business, which means the taxpayer must be self-employed. Nope. There is no such thing as an automatic audit. There’s no way to game the system to avoid one, either. Fraudulently claiming a home office, very high self-employment income, or taking more business deductions than income from self-employment are red flags, though. And there are a few scenarios that might trigger an audit: major changes in income or charitable giving, missing forms or files or numbers that don’t add up, claiming business expenses for a hobby, and having an overseas bank account or foreign assets. The best way to avoid an audit is to be careful and honest about deductions. The IRS is looking for discrepancies, not income. So an audit could happen no matter how low a filer’s income. In fact, people with income under $25,000 are slightly more likely to get audited if they claim an Earned Income Tax Credit, according to the Tax Foundation. People with incomes of between $50,000 and $75,000 had about a 0.47 percent chance of being audited in 2015, and it goes up from there, although for incomes under $200,000, the chances are still only about 1 percent. It is often a good idea for married people to file jointly, but there’s no rule that says they must. Filing jointly means a bonus if there is a big disparity in income, Business Insider says, or if joint income is less than about $150,000. Once taxpayers get above that level, there is actually a penalty for filing jointly, because they get pushed into another tax bracket. There are other scenarios in which filing separately is a better deal, such as when one spouse has a lot of medical deductions, TurboTax says. E-filing will probably be mandatory pretty soon. In fact, tax preparers must e-file. There are still some technophobes who believe it is somehow not as effective or safe as mailing in a paper return, especially with sensitive information inside, but H&R Block says it is safer to file returns electronically, with less susceptibility to human error from having an IRS employee re-enter tax information into the system. Refunds are deposited more quickly, and it’s possible to have funds withdrawn directly from a bank account when money is owed — no check-writing needed. If taxpayers owe money to the government, it still needs to be paid by April 18 this year to avoid potentially costly interest and penalties — even if an extension is filed. The failure-to-pay penalty is half of 1 percent of the money owed, which applies each month starting April 19. There is no stigma attached to filing for an extension — the government does not ask for a reason, just the proper filing and at least 90 percent of the money owed. Of course, when the full return is filed, anything still owed to the government must be paid. Ah, if only this were so. But it’s not. Federal tax laws require that any tips over $20 in any given month should be reported to the employer, which includes tips from customers as well as any pooled tips. If the employer doesn’t report tip income for workers, it’s important to keep track of tips independently and file Form 4070 (or Form 4137 for unreported tip income). If part of the tips received are pooled, the person getting the tip needs to report only the part that was kept. As usual, the IRS doesn’t care about working status, just about income. But the cutoff for having to file is somewhat higher for people over 65 than for younger people. For single seniors, the cutoff is $11,900; if both spouses are 65 or older and filing jointly, the cutoff rises to $23,200. Investors who lose a lot of money might figure they can deduct those losses against their income and not have to pay anything. Well, maybe. First of all, to take any deduction at all, the stocks have to be sold, making them a capital loss. And while it is possible to deduct capital losses, $3,000 is the maximum. That’s usually not enough to cancel out other taxes. Capital losses over $3,000 per year can be carried over to other years, though, and deducted against either capital gains or income. Technically this is true, insofar as the more that’s withheld from the weekly paycheck, the more is likely to be refunded in April. But it’s not a sensible strategy. People who do this on purpose are giving the government an interest-free loan and missing out on the chance to spend their own money or earn interest on it. A much better idea would be to put the money in an interest-bearing account, even if the interest is only 1 percent. That way, if it turns out the government is owed money in April, you have still made something.